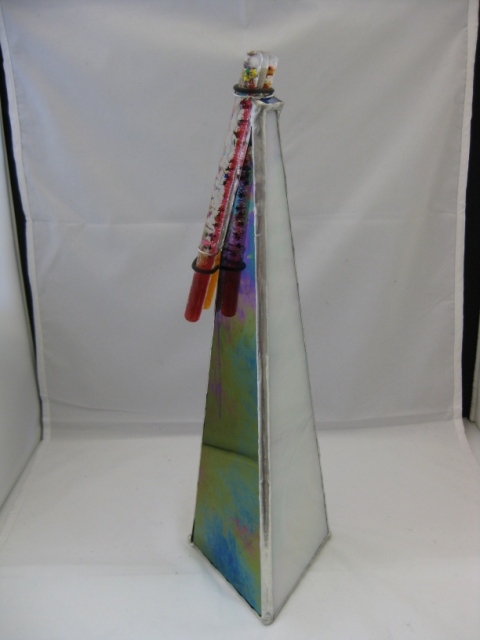 Tapered triangular stained glass body. 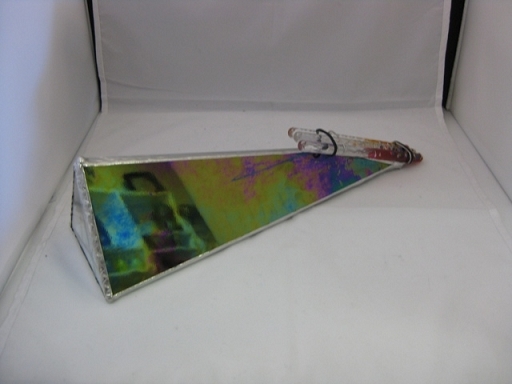 13" long, 4" sides at large triangular base, 1" triangular sides at narrow end. 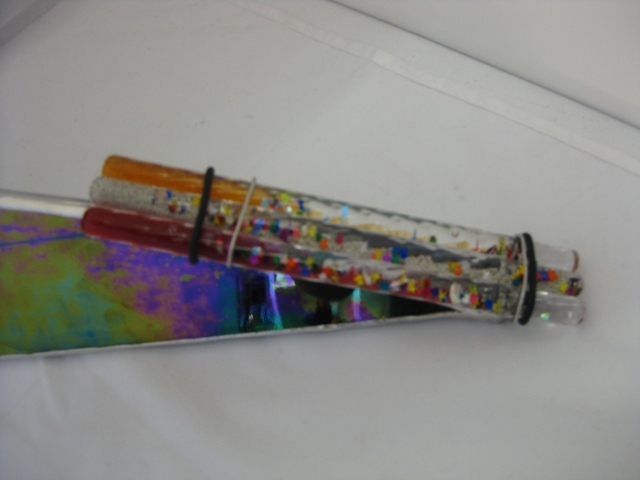 3 glitter tube object (6.25" long, 3/8" in diameter). 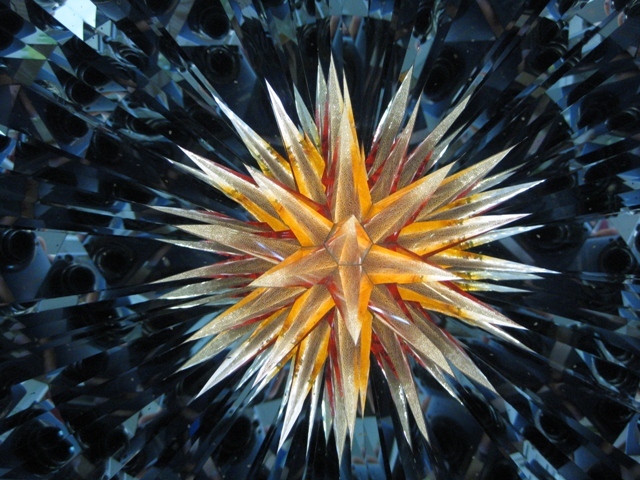 Image is 3-D spikey star.